Sylvia Poggioli is senior European correspondent for NPR's international desk covering political, economic, and cultural news in Italy, the Vatican, Western Europe and the Balkans. Poggioli's on-air reporting and analysis have encompassed the fall of communism in Eastern Europe, the turbulent civil war in the former Yugoslavia and how immigration has transformed European societies. Since joining NPR's foreign desk in 1982, Poggioli has traveled extensively for reporting assignments. Most recently, she travelled to Norway to cover the aftermath of the brutal attacks by an ultra-rightwing extremist; to Greece, Spain, and Portugal for the latest on the euro-zone crisis; and the Balkans where the last wanted war criminals have been arrested. In addition, Poggioli has traveled to France, Germany, United Kingdom, The Netherlands, Belgium, Austria, Sweden, and Denmark to produce in-depth reports on immigration, racism, Islam, and the rise of the right in Europe. Throughout her career Poggioli has been recognized for her work with distinctions including: the WBUR Foreign Correspondent Award, the Welles Hangen Award for Distinguished Journalism, a George Foster Peabody and National Women's Political Caucus/Radcliffe College Exceptional Merit Media Awards, the Edward Weintal Journalism Prize, and the Silver Angel Excellence in the Media Award. Poggioli was part of the NPR team that won the 2000 Overseas Press Club Award for coverage of the war in Kosovo. In 2009, she received the Maria Grazia Cutulli Award for foreign reporting. In 2000, Poggioli received an honorary Doctor of Humane Letters from Brandeis University. In 2006, she received an honorary degree from the University of Massachusetts at Boston together with Barack Obama. Prior to this honor, Poggioli was elected a Fellow of the American Academy of Arts and Sciences "for her distinctive, cultivated and authoritative reports on 'ethnic cleansing' in Bosnia." In 1990, Poggioli spent an academic year at Harvard University as a research fellow at Harvard University's Center for Press, Politics, and Public Policy at the Kennedy School of Government. From 1971 to 1986, Poggioli served as an editor on the English-language desk for the Ansa News Agency in Italy. She worked at the Festival of Two Worlds in Spoleto, Italy. She was actively involved with women's film and theater groups. The daughter of Italian anti-fascists who were forced to flee Italy under Mussolini, Poggioli was born in Providence, Rhode Island, and grew up in Cambridge, Massachusetts. She graduated from Harvard College with a Bachelor's degree in Romance languages and literature. She later studied in Italy under a Fulbright Scholarship. She was one of the great female protagonists of the late-Renaissance art world. Forgotten in the 18th and 19th centuries, she was rediscovered in the 20th as a feminist icon. 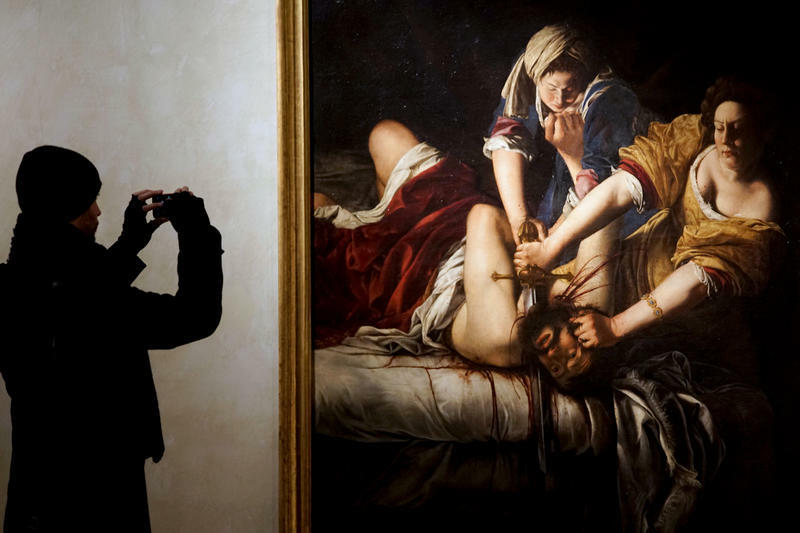 Thirty paintings by Artemisia Gentileschi are on view at Rome's Palazzo Braschi, in a major new exhibit running through May 7, 2017, that aims to showcase the female artist as a great painter — one of the most talented followers of Caravaggio. 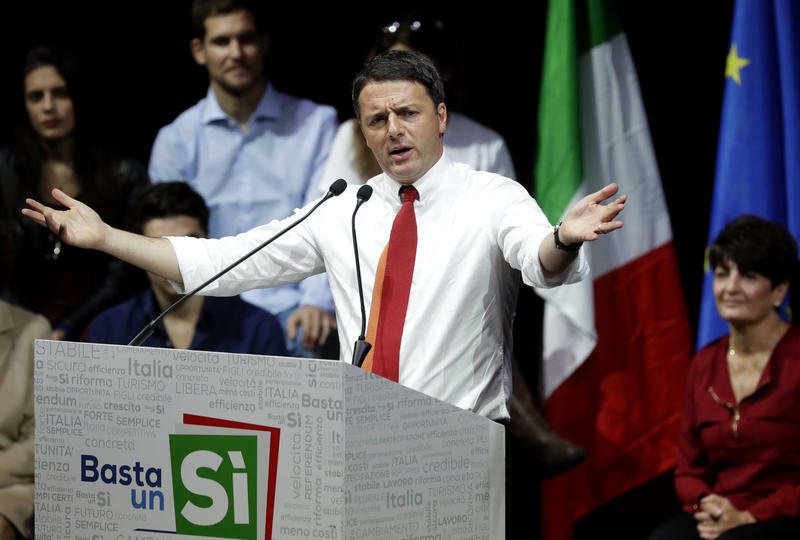 Italy is headed toward a period of political uncertainty following voters' crushing rejection of constitutional amendments and of their champion. 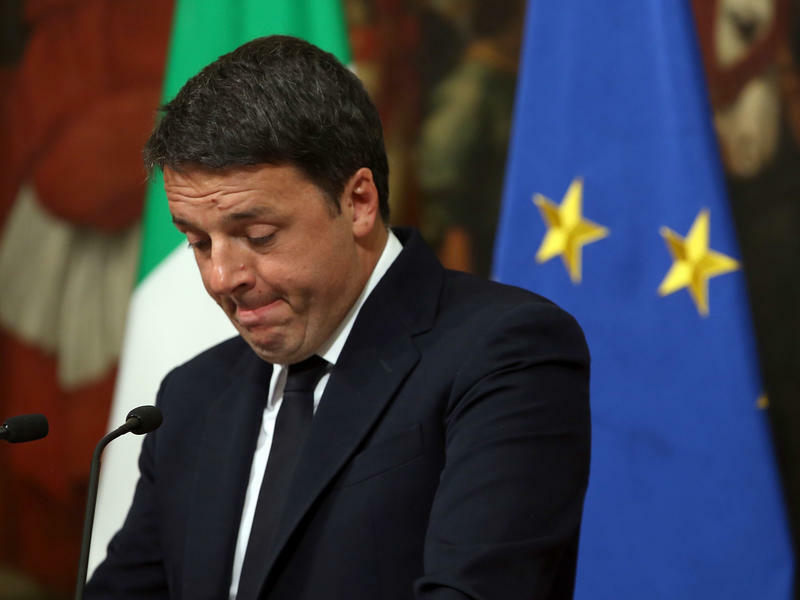 The 41-year-old Prime Minister Matteo Renzi is slated to hand in his resignation Monday after only 2 1/2 years in office and after acknowledging his stinging defeat in Sunday's referendum. Just over an hour after the polls closed, Renzi appeared before the media. Usually brash and confident, he held back tears acknowledging defeat. Europeans are anxiously watching Italy where a Sunday referendum on constitutional amendments could bring down the government and make it the latest casualty of the anti-establishment wave sweeping the West. Italians are being asked to vote "yes" or "no" to constitutional changes aimed at bringing the Italian political system more in line with the European norm. The changes involve sharply reducing the size of one of the chambers of parliament, the Senate, shifting its powers to the executive, and eliminating the Senate's power to bring down government coalitions. Rome's Via Ramazzini is a residential street with a sprawling park that belongs to the Italian Red Cross. That's where newly arrived migrants are being sheltered in a tent camp. Outside on the sidewalk, three young African men say they're from Eritrea, here for the past two weeks after making a dangerous sea crossing. Yarid Hailah, 25, says his boat, with 190 people aboard, was filling up with water. 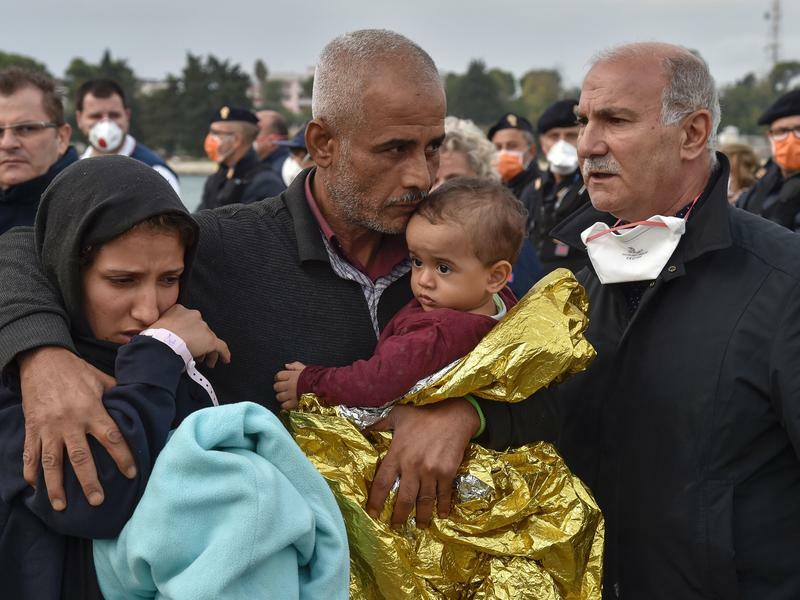 Ten hours after they left Libya, they were rescued. "Nobody died," he says. One of the greatest rifts in Christianity — between Catholics and Lutherans — isn't what it used to be. 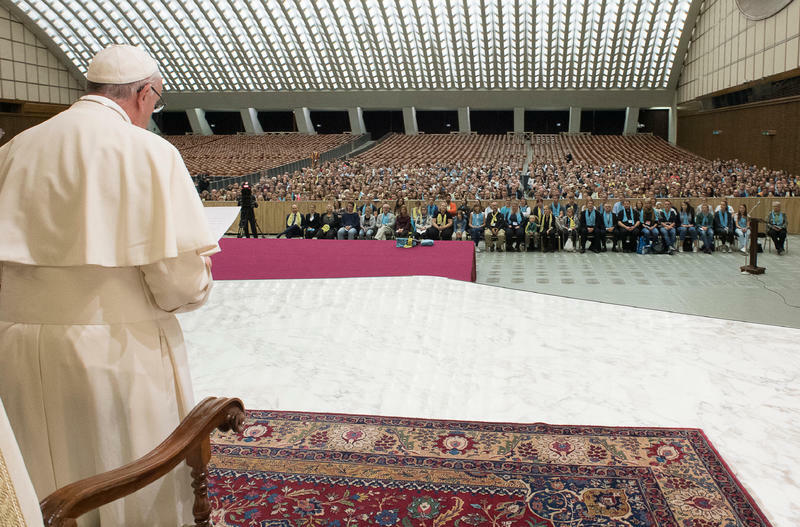 As a sign of those much improved relations, Pope Francis is traveling Monday to Sweden, an overwhelmingly Lutheran country, to kick off a yearlong commemoration of the Protestant Reformation that split the churches 500 years ago. Alongside the massive, rising death toll in territories controlled by the Islamic State, one of the major casualties has been a trove of ancient treasures that are part of the Middle East's cultural heritage. 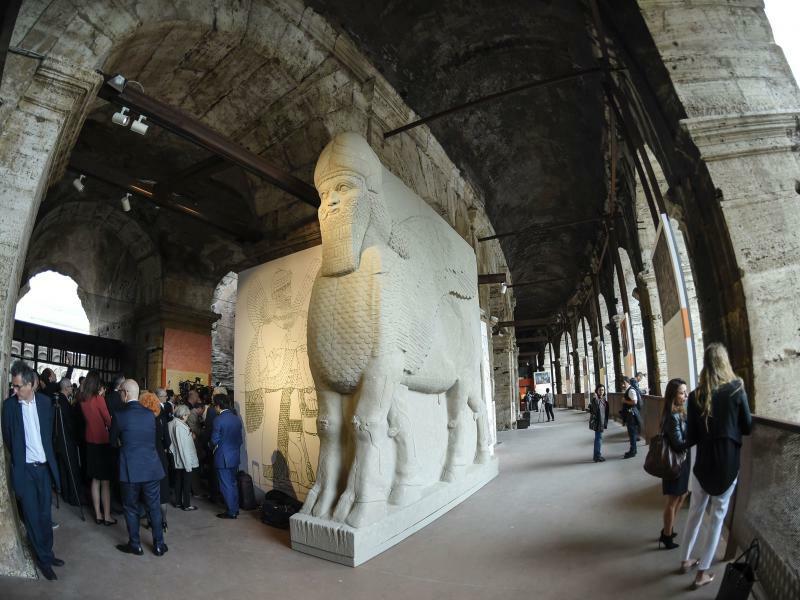 Now, replicas of several masterpieces vandalized or destroyed in Syria and Iraq have been created in Italy and are part of a UNESCO-sponsored exhibit called "Rising from Destruction." The exhibit, which goes through Dec. 16, has been set up in the Colosseum, the most visited site in Rome, drawing 6.5 million tourists a year.